Why marketing & sales technology? Why do you need to care about your mar∙tech? Today we live in an evermore digitized world. Businesses, entrepreneurs, nonprofits, or anyone looking to market their products or ideas need to know how to market in addition to navigating the technology needed to make their message heard, sell product, and/or win hearts and minds. Progressive businesses are under constant pressure to evolve with the mar∙tech which is encompassing our world more and more each day. Your sales & marketing technology stack is a huge part of how you will be able to grow and succeed in the future. 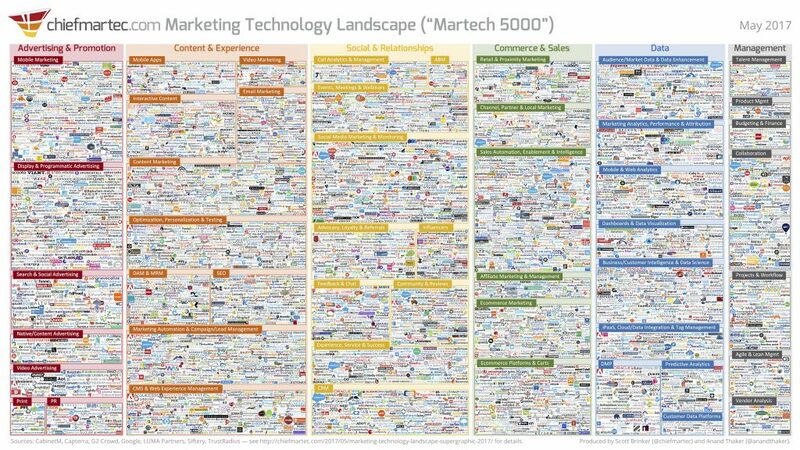 Have you ever seen the Marketing Technology Landscape? The Marketing Technology Landscape, produced annually by chiefmartec.com, is a guide to all of the business, marketing and sales technologies we have the opportunity to use. It is both amazingly inspiring and also scary. How can an organization possibly choose from hundreds of tech options in any one category of tool? It is not an easy task. But with the right guidance form an experienced expert, the choices can quickly become more clear. Why partner with McNary Marketing to help you with mar∙tech? 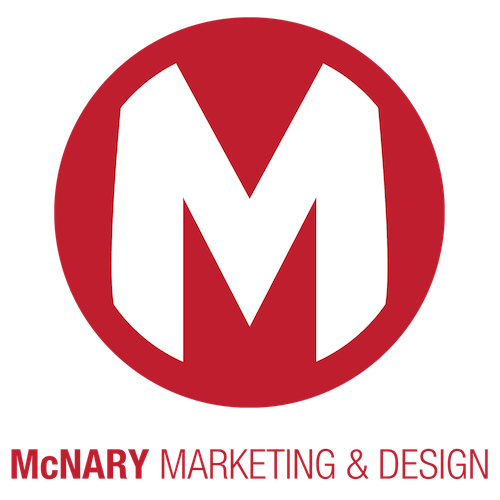 McNary Marketing & Design is not your typical marketing agency, digital marketing company, or web development firm — even though we do aspects of all of those things at times. Instead, these disciples are used in service to our mission of addressing your marketing tech at the cross section of business, marketing and technology needs. The outcome our work allows organizations to wrestle mar∙tech by helping businesses discover & implement the best marketing & sales technology, so they can sell more while doing less. That’s why McNary Marketing & Design is uniquely positioned to help you through the various software solutions and marketing methodologies we have developed. We help you leverage the enormous business, marketing and sales toolbox available today. Nodding your head? Let’s do this. Are you excitedly nodding your head? If yes, let us help you. Contact McNary Marketing & Design today so we can start with an initial pro bono consult to understand your needs. From there, we’ll see how we can be of help!